STONE, JOEL, businessman, jp, office holder, and militia officer; b. 7 Aug. 1749 in Guilford, Conn., son of Stephen Stone and Rebecca Bishop; m. first 23 March 1780 Leah Moore in New York City, and they had a son and a daughter who reached adulthood; m. secondly in the summer of 1799 Abigail Cogswell, widow of Abraham Dayton; d. 20 Nov. 1833 in Gananoque, Upper Canada. Joel Stone’s early years were spent near Litchfield, Conn., where he helped on the family farm. In 1774 he entered partnership as a general merchant in Woodbury; he settled in the nearby parish of Judea and remained there until 1776, when his public profession of loyalist sentiments incurred the revolutionaries’ wrath. His property was confiscated and he fled to New York. As a volunteer with the British forces, he was captured on Long Island, N.Y., in 1778 and imprisoned at Fairfield, Conn. Following his escape on 23 July, he gradually re-established himself as a merchant at New York and in 1780 became a captain in the city militia. In 1783 he left for England to seek compensation for the loss of personal effects and property in Connecticut, which he estimated to be worth about £1,500. He also hoped to be able to speed the settlement of a case in the Court of Chancery that involved a legacy to his wife. Bureaucratic and legal complications delayed his return to North America until October 1786, when he arrived at Quebec. Impressed by the opportunities in the colony, Stone initially settled with his family at Cornwall (Ont.) in the spring of 1787 and established a small distillery. 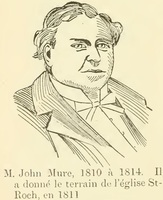 He applied for a grant of land at the mouth of the Gananoque River, but the geographical advantages of the situation also prompted a claim by Sir John Johnson. The ensuing dispute was not resolved for several years. Finally, in 1790, Stone was granted a 700-acre tract on the west side of the river. Stone’s resolve to recoup his losses through settlement in Upper Canada was no doubt weakened by the misfortunes that befell him between 1788 and 1790. Widespread grain shortages seriously affected his distillery and the resulting financial problems were exacerbated by the collapse of his marriage. By June 1789 he had begun steps to obtain a legal separation, and in October, hearing of his wife’s proposed return to Cornwall from Montreal, he wrote to his brother: “If that rib comes here . . . I shall endeavor to take my children with me directly to Connecticut.” He did travel to Connecticut in 1791 and placed his son and daughter at school in Hartford under his sister’s care “untill I can rid myself of Bad examples in my own family.” He also made a final attempt to secure the return of his confiscated property in the state. Unsuccessful, he returned to Upper Canada after some months. Once settled at Gananoque, the perennially ambitious Stone gradually established himself as its principal landowner and leading inhabitant. His development of a saw-milling operation in 1791 led to a further diversification of his business interests. By 1795 he was dealing with markets in Kingston and Montreal and had acquired a lease of property on Howe Island for lime kilns. His persistent petitioning led to the accumulation of a number of key positions in local government, including those of justice of the peace in 1796, customs collector in 1802, and roads commissioner in 1814. Access to the settlement was improved when in 1801 he began operating a ferry across the Gananoque River. Gradually he expanded his interests to include general merchandising. The War of 1812 was in some ways the culmination of what Stone perceived as a series of misfortunes beginning with the death of his son in 1809. Located on the sole supply route for Upper Canada, Gananoque was the target for one of the first American incursions of the war, in September 1812, and considerable damage was inflicted on the settlement. Stone, who was colonel of the 2nd Leeds Militia, was absent at the time, but the invaders are reported to have fired into his home and wounded his wife, Abigail. AO, ms 519. Litchfield Hist. Museum (Litchfield, Conn.), Joel Stone papers. MTL, Joel Stone papers. PAC, MG 23, HII, 1. QUA, Joel Stone papers. Loyalist narratives from Upper Canada, ed. J. J. Talman (Toronto, 1946). Chronicle & Gazette, 29 June–30 Nov. 1833. Kingston Chronicle, 1819–33. Kingston Gazette, 1812–18. H. W. Hawke, Historic Gananoque (Belleville, Ont., 1974). Kenneth Donovan, “Taking leave of an ungrateful country’: the loyalist exile of Joel Stone,” Dalhousie Rev., 64 (1984–85): 125–45. H S. McDonald, “Memoir of Colonel Joel Stone, a United Empire Loyalist and founder of Gananoque,” OH, 18 (1920): 59–90. Elizabeth M. Morgan, “STONE, JOEL,” in Dictionary of Canadian Biography, vol. 6, University of Toronto/Université Laval, 2003–, accessed April 24, 2019, http://www.biographi.ca/en/bio/stone_joel_6E.html.